In its examination of critical issues in the scholarly study of the Qur’an and its commentaries, this series targets the disciplines of archaeology, history, textual history, anthropology, theology and literary criticism. 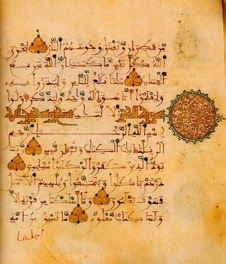 The contemporary relevance of the Qur’an in the Muslim world, its role in politics and in legal debates are also dealt with, as are debates surrounding Quranic studies in the Muslim world. Munther Younes is Reis Senior Lecturer of Arabic Language and Linguistics and Director of the Arabic Program in the Department of Near Eastern Studies at Cornell University, USA. He is the author of The Routledge Introduction to Qur’anic Arabic and the ‘Arabiyyat al-Naas textbook series. Susan Gunasti is an associate professor of religion at Ohio Wesleyan University. She obtained her doctorate from Princeton University from the Department of Religion. Her research interests are Qur’an commentary, Islam in the Ottoman Empire, and Islamic political thought. Marianna Klar est actuellement associé de recherche au Centre d’études islamiques de l’École des études orientales et africaines (SOAS), Université de Londres. Elle est membre du conseil de rédaction du Journal des études coraniques, et a rédigé de nombreux articles et chapitres de livre.